Gain the High-Performance Edge By Implementing Strategies that Work! Dr. Kamphoff, a Certified Mental Performance Consultant to elite athletes & championship teams including the Minnesota Vikings, will help you thrive & reach levels of potential. Dr. Cindra Kamphoff is a keynote speaker, trainer, entrepreneur and professor who is a go-to high performance coach for leaders, businesses and championship teams. She helps them master their mindset so they can gain the high performance edge. She has a Ph.D. in performance psychology. The foundation of Dr. Kamphoff's work is based on her Top 10 Practices of the World's Best. Her Top 10 Practices outlines the differences between successful and less successful people and is the focus of her book "Beyond Grit: Ten Powerful Practices to Gain the High-Performance Edge." 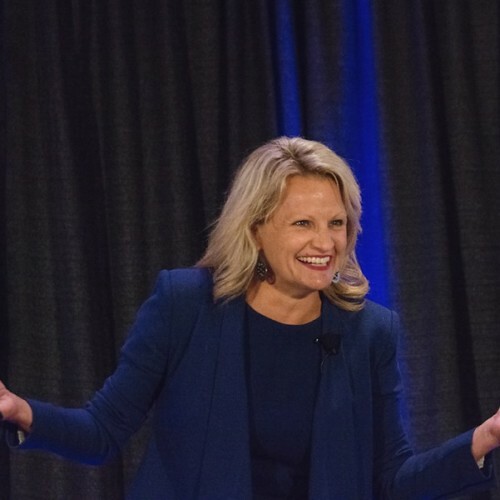 With Cindra's keynotes and trainings, even the most seasoned corporate leaders, educators, and entrepreneurs will learn how to overcome the odds, live with purpose, and play bigger to reach their best more often. Cindra is a Certified Mental Performance Consultant who works with leaders, educators and championship teams to help them master their mindset. She hosts a podcast called the High Performance Mindset available on Itunes which has been downloaded in 70 countries and named by Yahoo as one of the Top 10 Podcasts to listen to at the gym. Her work has been featured in The New York Times, Huffington Post, and ESPN the Magazine. In her spare time, she loves running marathons. She has run 15 marathons including 5 Boston Marathons. She has two boys, Carter (age 9) and Blake (age 7). Find out more about Cindra Kamphoff, Ph.D. at http://cindrakamphoff.com.